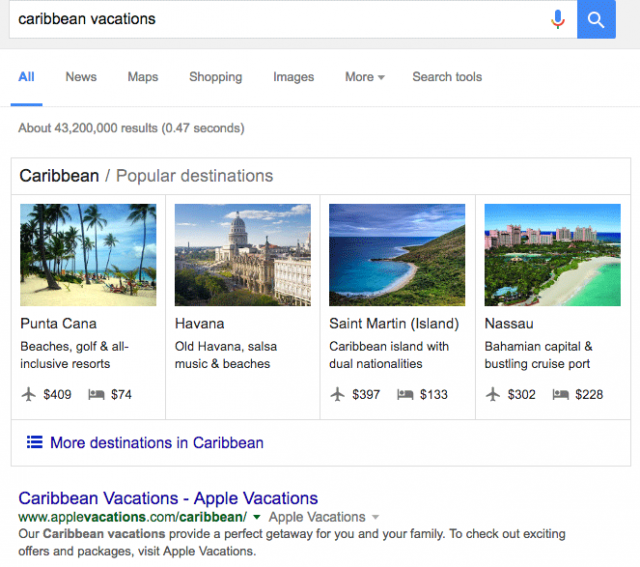 Search for [caribbean vacations] or similar queries, Google may show you a box at the top of the search results for "Popular destinations" with the cost to travel there by plane and lodge there. Clicking on the one of the boxes takes you into Google Destinations or probably what they are calling Google Trips now. It shows you a ton of information about the location and gives you a way to jump into Google Flight search and a way to book a hotel with Google Hotel search. David Minchala first spotted this test months ago and posted it on Twitter and now Pete Meyers posted the new variation, which seems live to me. It is probably related to Google Trips. 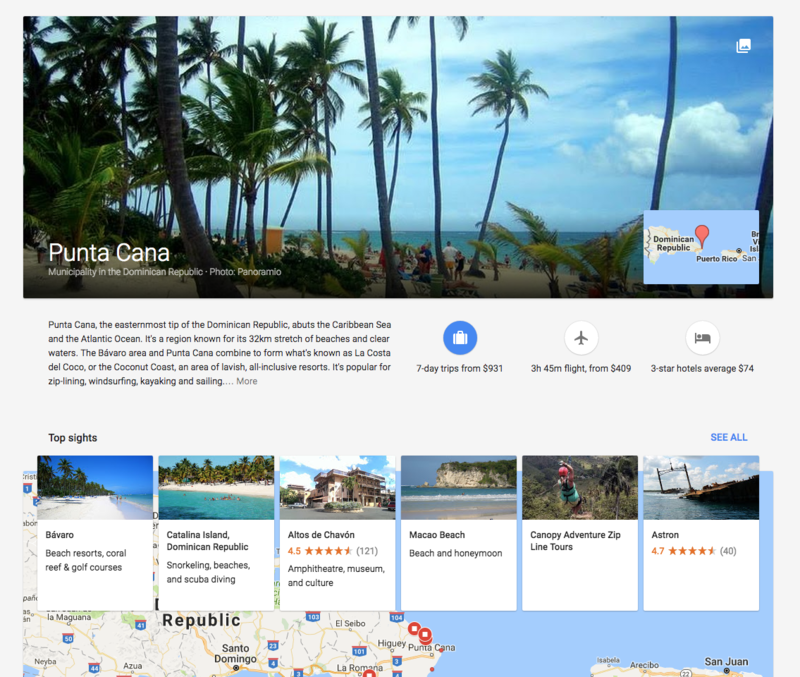 Google Destinations is a search feature on mobile that allows people to plan their trips easily. By searching for (for example) "New York vacations" or "New York destinations", people can instantly compare flight + hotel costs right from search. Destinations launched on mobile, but was recently rolled out to desktop earlier this week. You can read more about Google Destinations here. Google Trips is different. Rather than a travel planning tool on search, it's a standalone that helps travelers figure out what to do once they're on their trip. The app is available on iOS and Android, and you can learn more about it here.